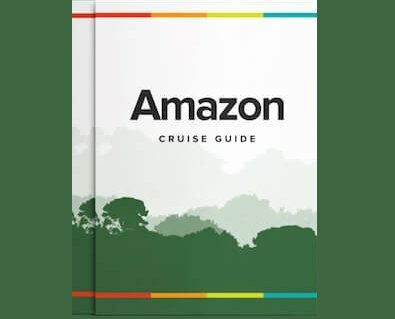 When given the opportunity to travel through such a remote region as the Amazon Rainforest, on an Amazon River cruise, many travelers are interested in how they can assist local communities in need. Fortunately, there are many types of donations you can bring to the Amazon, but it’s important to know which are helpful and which are harmful. The best types of donations to bring to the Amazon are items that communities have an inherent need for, and can be hard to access for them. These regions are remote, and many villages you visit may be hours from the nearest store or city. School supplies are always a responsible donation. Local children and schools always have a need for writing utensils, coloring books, crayons, notepads, or even books in Spanish or Portuguese that they can read (assuming the communities you will interact with speak one of these languages- you can confirm with your guide in advance). T-shirts are also an in-demand item for all ages, and can be very hard to access for those in remote communities. You can also bring soccer balls, volleyballs or other toys that can be shared. Many travelers think that candy and sweets are an easy way to please local children, but it’s not the most responsible donation for a variety of reasons. You can often buy school supplies for the same price, and those will have a greater impact on helping them with things they truly need. Additionally, it’s simply one more non-nutritional item that the children should probably do without. You shouldn’t risk allergic reactions or illness from eating something they are not used to, so candy is best left at home. If you bring items to donate, the best way to distribute them is by giving everything to your guide and asking him or her to hand the gifts out within a community. Please do not give items directly to children or families that you meet. Your guide will know the best way to distribute the items, and this organized approach will help prevent a culture of begging. Additionally, some donations (such as clothing) can not be given to very remote communities that have had limited contact with foreigners, as they can easily catch diseases through clothing. Chances are you will not be encountering tribes with such limited contact, but by having your guide distribute the items you can be sure that your donations will only be helpful, not harmful. Whether you plan to bring donations or not, one of the greatest ways you can help local communities is by supporting their sustainable tourism initiatives. Donations are wonderful and helpful short-term, but the best assistance is that which drives the businesses and micro-economies that they are building to sustain themselves into the future. Many communities and villages sell artisan products and a variety of handicrafts, all for an affordable price. By purchasing these you are helping create jobs (and getting unique and authentic souvenirs to bring home!). You will likely have multiple opportunities to purchase these products from locals throughout the stay in the Amazon, so make sure to bring enough cash and small bills. Sustainable tourism is important to Rainforest Cruises, and all of our guides are happy to help you make a difference however you may choose to. With these types of donations, your trip to the Amazon can be a meaningful experience in more than one way. You can learn more about our conservation efforts here. For more information about what types of donations to bring to the Amazon, feel free to contact us.